Ceiling lamp with large diameter lampshade made of white fabric, rough texture and main metal part in bronze finish. It will look great as a main lamp in your bedroom or living room. Perfect for classic style decorations.Dimensions: Height 50 cm. Length 40 cm. Width 40 cm. Ceiling lamp Carmen with nacre shells and a gold deco finish on the structure combined with glass. The classic style of this lamp is perfect for lighting your living room, bedroom, dining room etc.Dimensions: Heigth: 85 cm. Length: 40 cm. Width: 40 cm. Classic Ceiling lamp with three lighting points and a wavy iron design with a silver deco finish and nacre lampshades. Ideal to place in your bedroom, living room or dining room.Dimensions: Heigth: 80 cm. Length: 54 cm. Width: 54 cm. Pendant lamp collection Carmen with five lights. Made of iron with silver deco finish and lampshades in an elegant nacre shell. It is perfect to place in rooms such as dining room, living room... with classic style. Dimensions: Heigth: 84 cm. Length: 70 cm. Width: 70 cm. Pendant lamp from the collection Carmen. It has an elegant grey fabric lampshade that is perfect for lighting classic rooms. The main structure is made of iron finished in silver deco and crystal.Dimensions: Heigth: 20 cm. Length: 40 cm. Width: 40 cm. strong>Pendant lamp Carmen with three lights. Design of curved and wavy lines of iron with a fine and elegant finish in silver deco, grey fabric lampshades. Perfect for lighting your living room, bedroom, etc. with a classic touch. Dimensions: Heigth: 80 cm. Length: 54 cm. Width: 54 cm. Pendant lamp from the Carmen collection available with five lighting points. Finished in silver deco and fabric lampshades in grey. Perfect for decorating spaces in your home that have a classic style like the dining room or living room.Dimensions: Heigth: 80 cm. Length: 70 cm. Width: 70 cm. Ceiling lamp Chantal of current and casual style. Made of metal with a black finish and consisting of three lighting points. They are located in different heights and positions, offering characteristic and unique lighting. Adjustable height to be placed in rooms of different dimensions. Dimensions: Heigth 37-137 cm. Length 14 cm. Width 14 cm. Ceiling lamp of classic style with main part finished in chrome, white fabric lampshade and glass in the structure that gives it a very elegant touch. 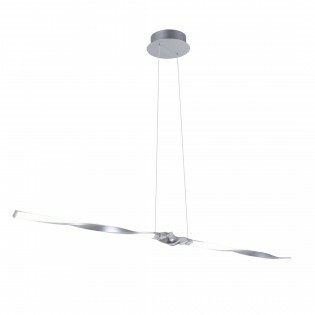 Ideal for lighting rooms such as the bedroom, dining room or living room. Dimensions: Height 51 cm. Length 40 cm. Width 40 cm. Ceiling lamp from the collection Helen made of metal, with chrome finish and white fabric lampshade. Its large dimensions are perfect for decorating with a classic style in rooms such as the dining room, living room, bedroom....Dimensions: Heigth 53 cm. Width 40 cm. Depth 40 cm. Ceiling lamp Helen with three lights of classic style. It has a structure made of chromed metal and white fabric lampshades. It is perfect to give an elegant touch to your dining room, living room, bedroom or other rooms of your house. Dimensions: Heigth: 39 cm. Width: 53 cm. Bottom: 53 cm. Ceiling lamp from the Helen collection. Its main structure is made of gold coloured metal and the lampshade is grey with elegant designs printed on it. 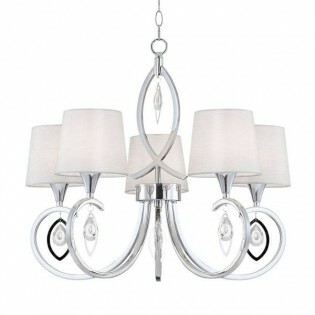 Its classic style is ideal to light up the dining room, living room... or other rooms of the home. Dimensions: Heigth 53 cm. Width 40 cm. Depth 40 cm. Ceiling lamp Helen with 5 lights. With gold coloured metal construction and spiral design. It is decorated with fabric lampshades with grey finish. It is ideal for decorating with a classic style home rooms such as the dining room, living room, bedroom.... Dimensions: Heigth 39 cm. Width 71 cm. Depth 71 cm. Ceiling lamp Abba. Ideal if you like modern style. Design with interlaced shapes, and LED lighting that looks spectacular. Ideal for use in the dining room or bedroom as the main lamp. It adapts to different types of rooms thanks to its adjustable height.Dimensions: Heigth 25-125 cm. Length 70 cm. Width 70 cm. Ceiling lamp Enma with original design, latest lighting trend within the modern style. Double-circumference chrome-plated composite with 46 W LED lighting. Its adjustable height allows you to place it in rooms of different sizes: in dining rooms, living rooms...Dimensions: Heigth 40-140 cm. Length 70 cm. Width 70 cm. Ceiling lamp with adjustable height from 20 to 120 centimetres and integrated 36 W LED lighting. With this technology you will obtain a minimum consumption of light. Its curved structure is loaded with modernity and vanguardism thanks to its metal manufacturing and chrome finish. Dimensions: Heigth 20-120 cm. Length 82 cm. Width 27 cm. Ceiling lamp from the Mar collection with adjustable height. Ideal for lighting the dining room table or living room. Its rectangular bar is integrated with 26 W LED lighting, offering an image of modernism and minimalism.Dimensions: Heigth 15-115 cm. Length 133 cm. Width 17 cm. Ceiling lamp Mar with adjustable height up to 151 cm. It consists of a metal bar with integrated 8 W LED lighting, minimum consumption and maximum energy efficiency. A contemporary style design to light dining rooms or bedrooms.Dimensions: Heigth 51-151 cm. Length 12 cm. Width 12 cm. Ceiling lamp with a beautifully designed spherical lampshade. It is designed with small pieces of glass that give the classic touch to the lamp. It contrasts with the chrome finish of modern style. Its 10 W LED lighting will allow you to keep it on for hours with minimum power consumption.Dimensions: Heigth 13-113 cm. Length 10 cm. 10 cm. Width 10 cm. 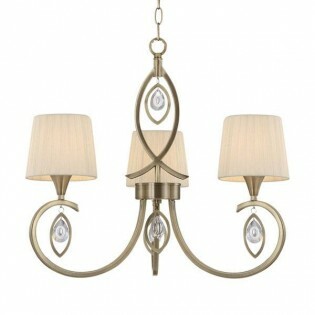 Ceiling lamp of classic style for lighting classic style dining rooms, living rooms or bedrooms. Simple and elegant design lampshade made of fabric and main metal structure. Available in two finishes: chrome or gold. You can comfortably adjust the height up to 146 centimeters.Dimensions: Height 46-146 cm. Length 40 cm. Width 40 cm. 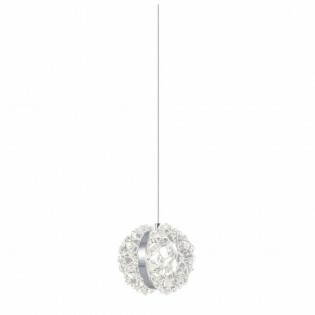 Ceiling lamp Liza ideal for classic style homes, in dining rooms, living rooms... The height is adjustable so that you can adapt it to the dimensions of your space. The design of the lampshade stands out with pieces in different finishes that give it style and sophistication.Dimensions: Height 26-126 cm. Length 17 cm. Width 14 cm. Ceiling lamp of the collection Liza with adjustable height from 35 to 135 centimeters. Ideal for placing in the kitchen in the worktop area, in the dining room, living room... Metal structure with bronze finish and beautifully designed lampshade and elegant mosaic finish. Dimensions: Height 35-135 cm. Length 14 cm. Width 14 cm. 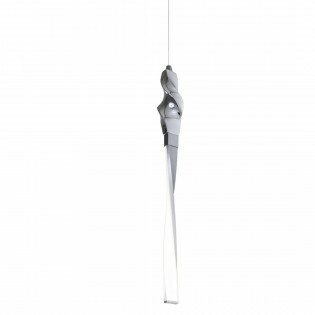 Ceiling lamp with adjustable height to place it in spaces of different dimensions. Its lampshade has a cylindrical design and a bronze mosaic finish. Ideal to light up the space and decorate it with a characteristic touch. In living rooms, dining rooms, kitchens...Dimensions: Height 48-148 cm. Length 10 cm. 10 cm. Width 10 cm. Ceiling lamp from the collection Bea consisting of an illumination point with a fabric lampshade available in two finishes: grey or leather. The main structure is made of metal decorated with decorative glass. Ideal for illuminating staircases such as dining room, living room, bedroom etc. with a classic style. Dimensions: Height 124 Cm. Diameter 40 Cm. Bea Ceiling Lamp with three lights. Its metal structure and fabric lampshade are finished in leather or grey, so you can choose the one you like best. It will fit perfectly in rooms like the bedroom, dining room or living room decorated with a classic touch. Dimensions: Height 122 Cm. Diameter 58 Cm. Ceiling lamp from the collection Lara available in two finishes: grey or leather. The lampshade is made of fabric and the main metal structure is decorated with glass pendants. This lamp is ideal for use in rooms such as bedrooms, living rooms...decorated in classic style. Dimensions: Height 128 Cm. Diameter 40 Cm. Ceiling lamp with three lights available in two finishes: chrome or gold. The main structure is made of metal, the lampshades are made of white fabric and incorporate glass decorations that decorate the whole. It will fit perfectly in the lighting of classic style rooms. Dimensions: Height 119 Cm. Diameter 58 Cm. Vega ceiling lamp with glass lampshade. Two finishes available: chrome or beige. This material allows light to pass through easily. You can adjust the height from 41 to 150 centimetres. Ideal to illuminate rooms such as living room, dining room... Dimensions: Height 41-150 cm. Length 40 cm. Width 40 cm. Chandelier with five lighting points. 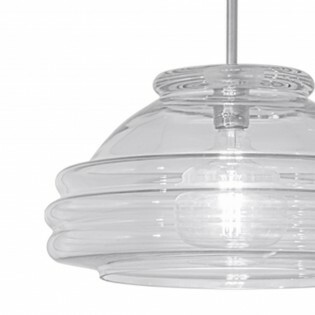 It will elegantly light up living rooms, dining rooms or bedrooms. Main metal structure with cream finish, wavy arms, white fabric lampshades and beautiful glass decoration in the centre of the lamp. Dimensions: Height 41 cm. Length 65 cm. Width 65 cm. Classic style Bea chandelier with five lighting points. Its elegant design will look great in your dining room or living room. The lampshades are made of beige fabric and the metal structure is finished in chrome or leather, so you can choose the one you prefer. Dimensions: Height 122 Cm. Diameter 61 Cm. Ceiling lamp from the collection Carmen. It incorporates three lighting points in nacre lampshades. Chandelier design with leather finish. Perfect to provide a welcoming lighting to your home.Dimensions: Heigth: 80 cm. Length: 54 cm. Width: 54 cm. Classic Pendant lamp. Its chandelier shape design has five light points and a glass decorative element in the structure. For elegant styling in bedrooms, dining rooms, living rooms etc.Dimensions: Heigth: 84 cm. Length: 70 cm. Width: 70 cm. Ceiling lamp with three lights EVA, three iron arms finished in chrome and elegant nacre lampshades. Ideal for lighting classic style environments such as: dining room, living room, bedroom...Dimensions: Heigth: 75 cm. Length: 51 cm. Width: 51 cm. Ceiling lamp Eva with five light points. Elegant and classic design suitable for lighting spaces such as the dining room, living room... thanks to its large size. It has a set of iron lines finished in chrome with a wavy shape and nacre lampshades made in mother-of-pearl.Dimensions: Heigth: 80 cm. Length: 70 cm. Width: 70 cm.